Yotam Ottolenghi, the accomplished chef and owner of several high-end London eateries names the cookbooks he loves the most. 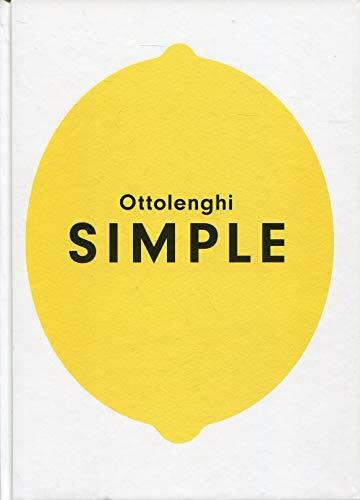 Yotam Ottolenghi's path to the world of cooking and baking, where he is now a popular authority, has been anything but straightforward. 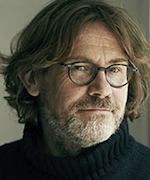 Having completed a Masters degree in philosophy and literature whilst working on the news desk of an Israeli daily, he then made a radical career shift, moving to London in 1997. He started as an assistant pastry chef at the Capital, and then worked at Kensington Place, Launceston Place, Maison Blanc and Baker and Spice before starting his own eponymous group of restaurants/food shops, with branches in Notting Hill, Islington, Belgravia and Kensington. It sounds like your path to becoming a chef was fairly complicated. What was it that sparked your interest in doing this as a career? It was something that I never thought I was going to do. But, after finishing my philosophy degree, I took a year off and went to the Cordon Bleu Cookery School here in London. I loved it. So I have stayed in London ever since. I did a short Cordon Bleu Cookery course myself – the food is very different from the kind of food I have eaten at your restaurants. How would you describe the kind of cooking that you do? It’s not an easy question to answer, because my food doesn’t fall into a very clear category. It’s food that very much reflects the sort of ingredients that grow in a very sunny climate, so there are strong flavours and colours, and there’s a lot of freshness. There are lots of herbs and things that really enjoy the sun. It sounds a bit cheesy, but I call it sunny food! Your first choice is On Food and Cooking, by Harold McGee, which seems to offer a scientific approach to eating. Yes. This is the book that I use when I need to come up with a very technical solution to what I am making. 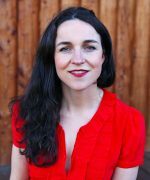 Cooking can be very intuitive, but, especially with food writing, you often need to get to grips with what it is that you are actually doing, so that you can have a deeper understanding of it. This is a very technical manual. 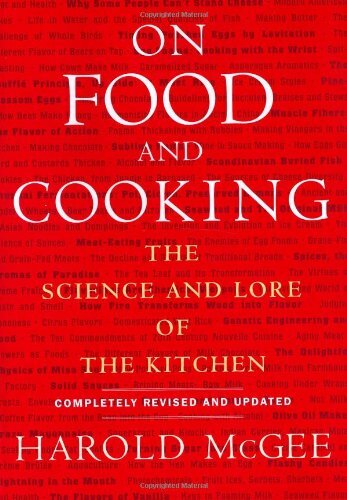 Let’s say that I need to see what happens during the process of steaming, or poaching, or frying; I always go to this book. McGee is very clear and to the point. Despite the fact that he is quite technical, it’s never boring. I got this book as a present from a good friend of mine a few years ago. It is a sort of a classic. It is the most immediate reference book that many chefs go to when they need to know something technical. For example, Heston Blumenthal is quoted on the cover, as are a few other big-name chefs. 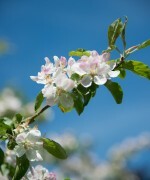 There are a lot of chemistry and scientific details involved, which I like. Deborah Madison is another American cook – in fact, she’s one of America’s leading cooks. 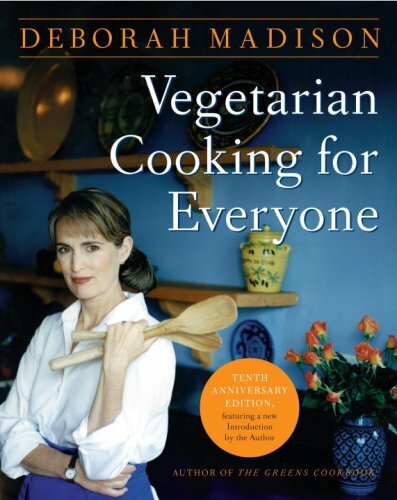 Your next choice is her book, Vegetarian Cooking for Everyone. A few years ago, I got the brief to write a vegetarian column for The Guardian. I’m not a vegetarian, so I wanted to write the column as a challenge – and I must say it was a bit of a challenge. The idea of having to cook exclusively with vegetables was initially a difficult concept. To start with, I had plenty of ideas, but after about six months I realised I was sort of running out of things. This book gives you loads of pointers about flavour combinations, and ways of putting vegetables together. It’s not groundbreaking; it’s not anything you haven’t heard before. But it is very extensive. Deborah Madison uses everything and goes over all methods and all the ingredients. The writing is very light and simple – not at all challenging. Often, you get food writers that make things a little bit complicated, or too long-winded, but she is very simple and very clear. What is one of your favourite recipes of hers? I love her gratin recipes – all the recipes in her section on gratin are very good. I think in one of them she uses rice, so she does throw in things that are slightly unusual, but it’s very approachable. Did she inspire you to create new vegetarian recipes? Because you are enjoying huge success with your latest book, Plenty, in which all the recipes are vegetarian. 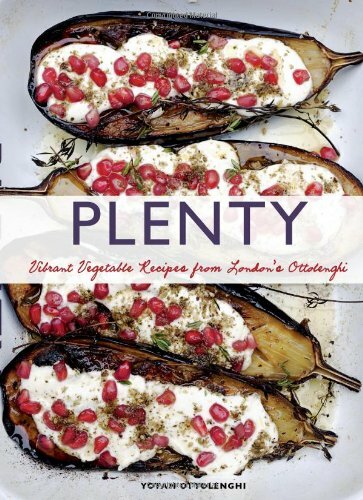 Plenty is really a result of my Guardian column, and it offers a selection of the recipes I’ve presented there. But people like Madison and other food writers inspire me because, in many ways, they are the antithesis to restaurant chefs, who write very technically. The Green Cook Book is another great book she did, and, with all of them, the general idea is that you cook not to show off but rather to feed and nourish. I love that idea. Let’s go to the other side of the coin with your next choice, The River Cottage Meat Book, by Hugh Fearnley-Whittingstall. There are a million cook books that I like. I have a huge library full of books, but I wanted to choose a selection of books that convey different things. What I like about this book, which is similar to my previous two choices, is that it is very serious and thorough. I like it when people go into a subject and explore it fully for me or with me. And Hugh does this in an amazing way. He goes through all these different cuts for different types of meat, and you feel that someone has done a serious job for you. I’m not the most professional of meat-eaters; I can’t butcher, and I don’t know how to cut properly. But when you go into this book, you really get the whole picture. 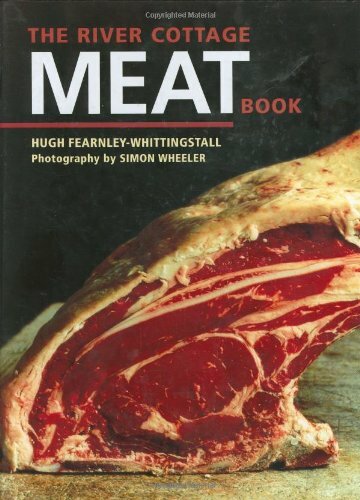 Often, when I want to cook meat, I will consult this book; it has a seriousness about it that I appreciate. I think that must be your academic background coming out! I think so. I can never shake that. I am quite academic – but also, with Hugh, I like the fact that there is a very personal voice. The book starts with a long introduction, which discusses the moral aspects of eating meat, and he really delves into it very seriously. He says you can make a moral decision and become a complete vegetarian, but, if you don’t want to do that, then at least you should know the issues surrounding meat-eating, and the whole process involved. He looks at how the animals are reared, and allows you to make an informed and moral choice about what you are eating. Let’s move on to recipes that involve things like poached pears and walnut cream – like those in Stars Desserts, by Emily Luchetti. I don’t know much about Emily Luchetti, apart from the fact she was the pastry chef at a very famous restaurant in San Francisco called Star during the late 80s and the 90s. 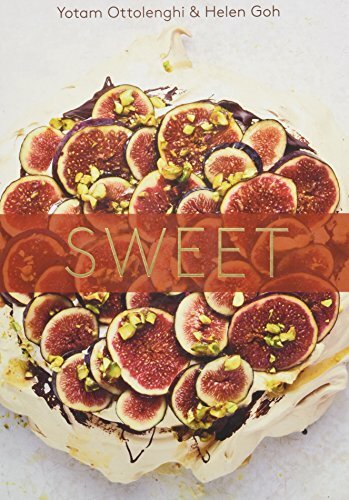 She also wrote another book, Four-Star Desserts; I have a very warm place in my heart for both. One of my first placements was as a pastry chef, and I loved using those books, because they were a breath of fresh air after all your French basics. When you go to the Cordon Bleu Cookery School, you learn something that is quite substantial, but a little bit dated. It doesn’t really belong to this era. There are cakes with names which go back to the early 20th or late 19th centuries; it is all just a little bit out of date. So what I loved about this book is that it felt very contemporary. You can actually cook something which is extremely complex and very intricate in its process, but still feels fresh. 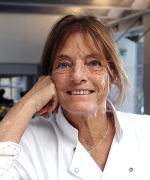 I worked in a little restaurant called Launceston Place in South Kensington for a year or so, and I was in charge of the pastry department; at least ten of my desserts came from Emily Luchetti’s books. I spent hours reading through them. They are easy enough to use, but they still feel very professional, and I know quite a few professionals who are using these two books because they yield a wonderful result and are not overly heavy or complicated. That sounds good to me! 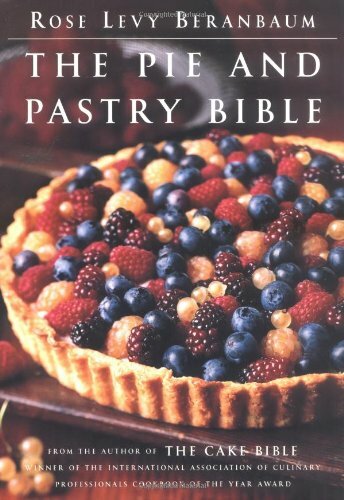 Let’s finish with more pastry, from The Pie and Pastry Bible, by Rose Levy Beranbaum. Well, this takes me to another era. Roughly when I opened Ottolenghi, just over eight years ago, we had to come up with a whole range of pastry products. 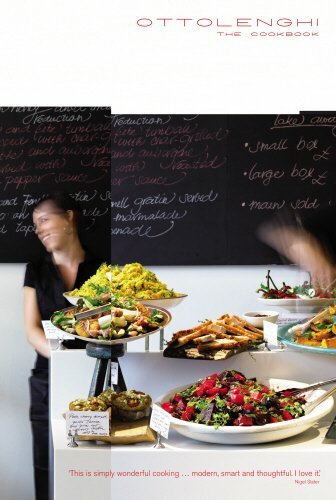 We wanted a pastry counter and a food counter to match, all with things that were made daily from fresh ingredients. With the pastry, I really wanted to create a fresh, vibrant and new approach, and I used this book quite a lot, because she has a fantastic method of pastry-making for the whole range of different pastries. She has great recipes for things like Danish pastries, and basic short crust and shortbread pastry – and she has a very clear voice. She enjoys herself, and you can tell she’s having fun. It’s not one of these heavy books with centuries of tradition behind it, and that’s exactly what I like so much about her style.